These plant guides are quick and useful references to successfully growing many of the interesting and unique plants I grow in my xeric gardens and succulent crafts. These fascinating plants have a few quirks that I've discovered over the years, which I can now share with you. Whether you're just starting out, or you've been growing these fascinating plants forever, there will be something for you in the guides listed below. In these plant guides you can learn which is the best soil to plant each type of plant into, and recommendations for pots and containers, and other useful information. 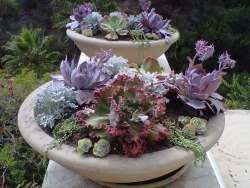 The succulent plants that I grow are relatively easy if you know the basics. 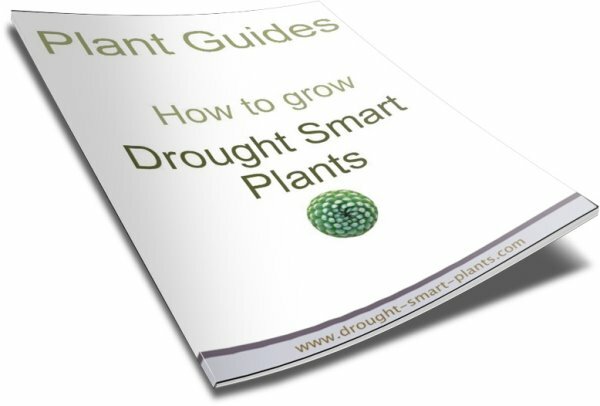 Information on how to grow all the different plants that I grow is listed in the Plant Guides. Click on the images below for details about how to grow diferent kinds of plants, a generalized planting guide, and propagation information. You'll find out about how to propagate by using seeds, growing some of these plants from cuttings and much more hard won information. I've made all the mistakes possible in my gardening; you don't have to. This is just the tip of the iceberg - you'll find your own methods of growing the best plants in the world, based on your conditions and climate, the seasonal changes you encounter, and the problems you learn to deal with. Don't worry about doing it all exactly right - plants in general are really quite resilient - especially succulents. Take notes and keep a record of what works and what doesn't. Make sure you propagate the plants that you like, and test out different things with the new plants to see what works best, and to ensure that you have a back up in case it doesn't work out. If you encounter something that completely stumps you, ask me!